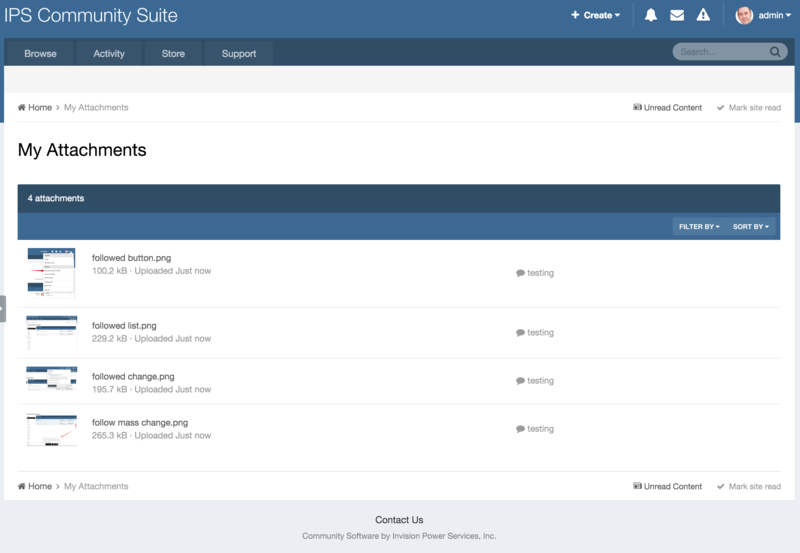 Within the IPS4 Community suite, you will be adding attachments within posts, blogs, and many more areas. By clicking on your name and selecting "My Attachments" you can view a list of these. This will let you know where these documents are attached if you need to find then and you can also download these direct from the page. 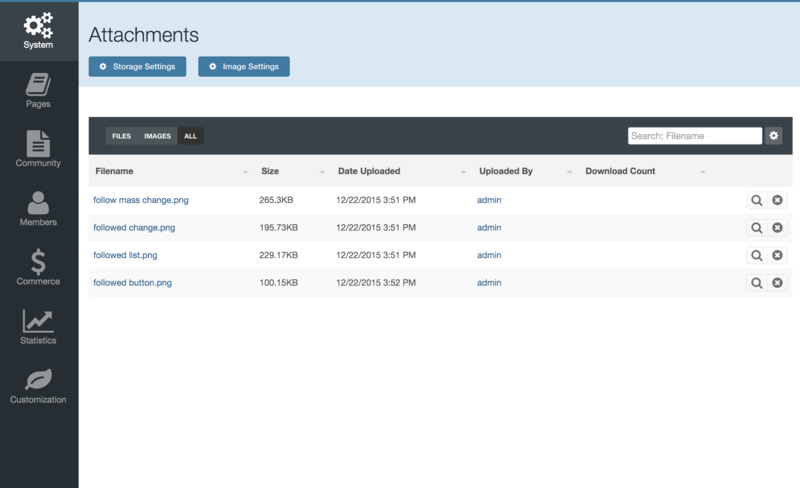 From here you can do the same as you can on the front end of the site, but for all files. You can also remove these from the system completely if you need to do so.